You may only need one pair of trainers soon. Attention all you sneakerheads! 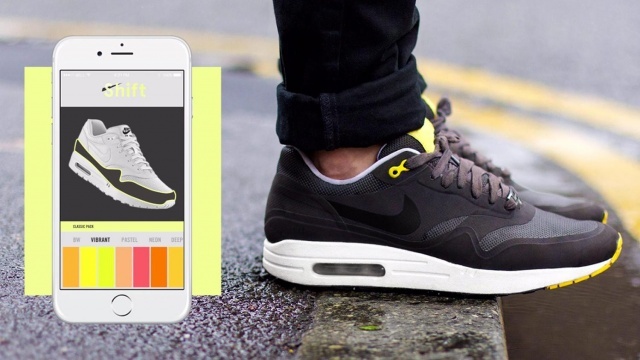 A company has come up with a concept trainer that could change the way you shop for footwear. The technology, dubbed Shift Sneaker, features a pair of color-shifting shoes that can be repeatedly customized to match an individual’s mood and style. The idea is that one pair of Shift Sneakers will be all you ever need on your shoe rack. Only one pair of trainers you say? This concept emerged during +Rehabstudio’s Hackweek, by the company’s UK-based creative team. 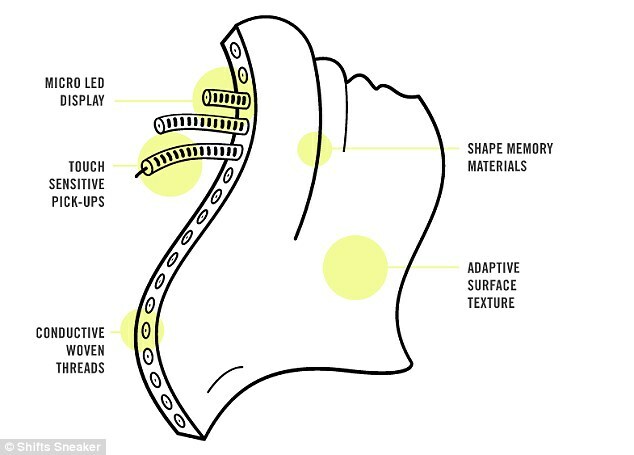 Through a combination of high-tech fibers, conductive woven threads, and advanced textiles that simulate LED lights, the color and design of the sneaker can be altered by changing its shape to reflect light in various patterns. How cool does this sound? From a sneakerhead standpoint, this is pretty cool stuff. Shift Sneaker’s creators want users to “shift” between different sneaker designs using a mobile app that would offer new designs to browse through and implement, at the touch of a button. “The store will act as an open-source application platform where anyone can easily design, develop and upload their own packs, that can then be downloaded by all Shift Sneaker wearers,” according to Shift Sneaker’s website. The virtual sneaker store would also offer different sync settings so wearers can sync designs with friends and significant others. You can get all matchy-matchy with your friends. If you bike or run at night, you can get glow-in-the dark designs, or just look awesome in colorful sneakers. Unfortunately all of this is merely conceptual at this point, but keep your fingers crossed that we might see these at our local sneaker shop soon.